When I first started climbing a friend of mine recounted a story of several members of the Bangor University Mountaineering Society climbing Central Trinity on Snowdon – it sounded epic. 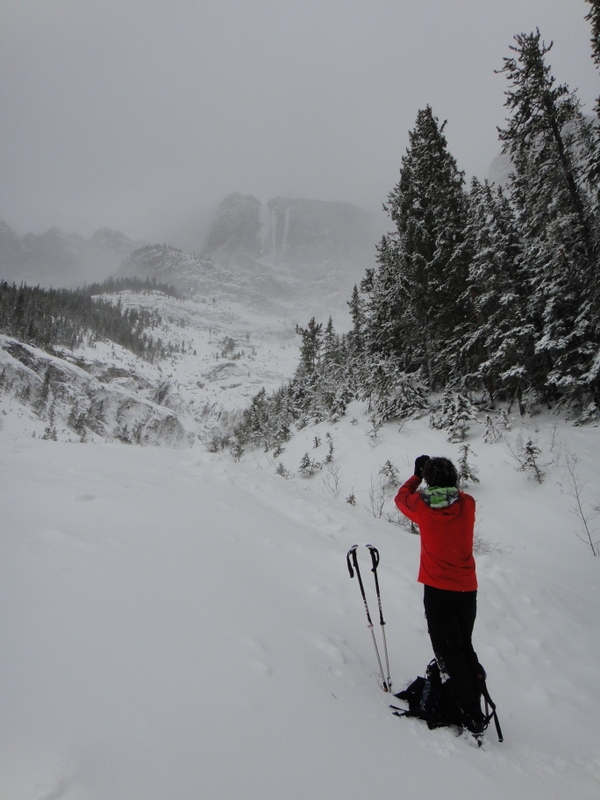 Being comparatively new to the sport something about using ice axes and crampons seemed far fetched. 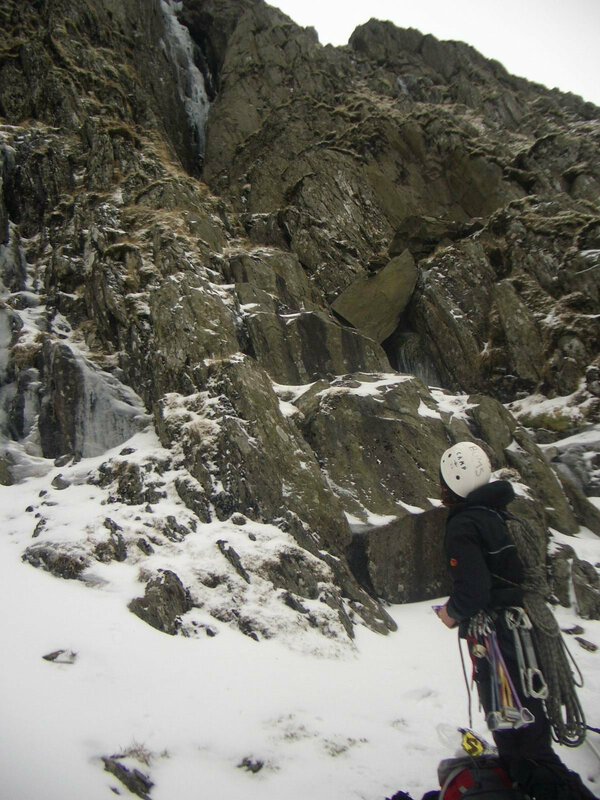 In the winter of 2003 I stood at the base of my first winter route – Left Hand Branch in Clogwyn Du. According to Welsh Winter Climbs it ‘formed consistently in good years’ (this was not a good year) and was ‘a classic grade IV’ (classic I understood, but since I’d never climbing grade I, II, or III the whole numbers thing was a bit of an unknown). Without recounting the in’s and out’s of the ascent would suffice to say we had an experience and like all winter ‘experiences’ it was a memorable one. It was a feeling I sought to repeat. Nearly 10 year later I am standing beneath The Trophy Wall near Banff, Canada. Nick and I have spent four hours wading, digging, and swimming our way up the hillside to prepare the way for the following day when we intend to climb a route on the wall. So much effort just to do one climb – why bother? 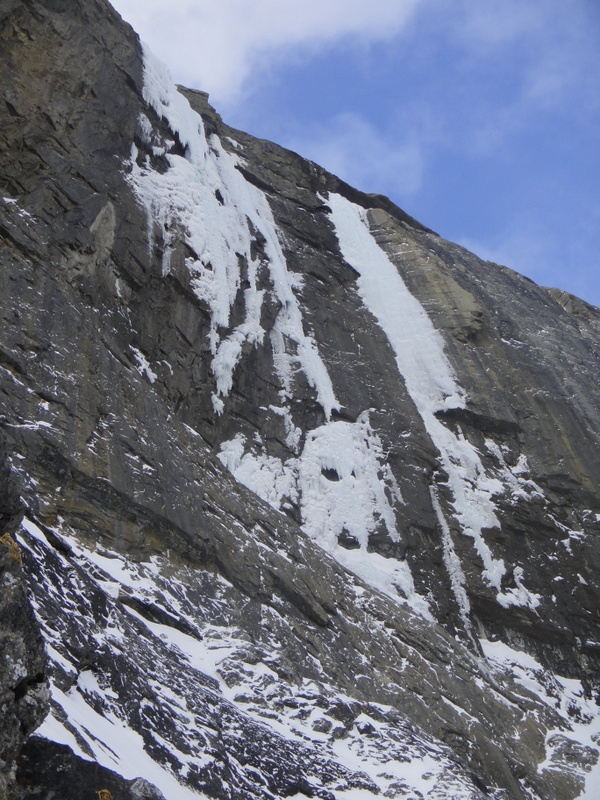 The Replicant is without question one of the finest ice climbs I have ever done, but it wasn’t just the climbing that made it memorable – it was everything that surrounded it. The investment of all that time and effort to get up to it was one factor, but so too were my first Welsh Winter climbs and early trips to Scotland. I had always assumed that some things, like ice climbing back when I started or more latterly Alpine North Faces, were for other people – they’re not – you make the choice. They are there for the taking providing you put the effort in. The Trophy Wall – worth the effort? To read about the impression The Trophy Wall made on Nick visit his blog. Hello there from sunny Hampshire. Thinking about you out there -and trying not to – some amazing photos of what you’re doing in Canada. Have read Nick’s recent blogs too.